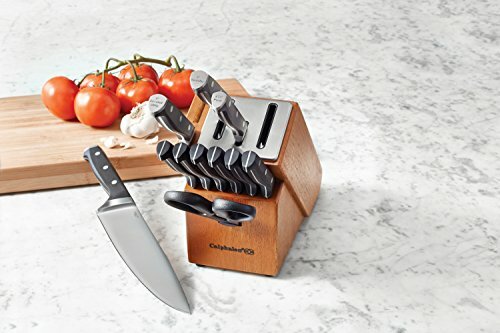 Knives stay sharp for a lifetime with Calphalon Classic Self-Sharpening Cutlery featuring SharpIN Technology. 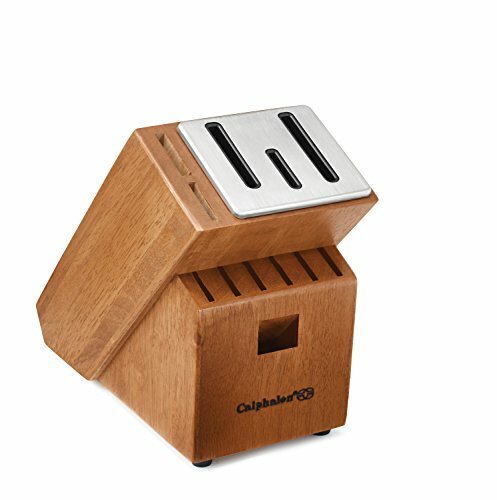 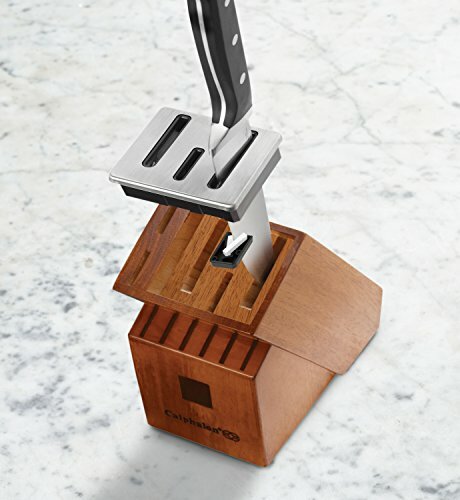 Sharpeners are built right into the block, automatically sharpening straight edge knives every time you remove them from the block to ensure peak sharpness at the start of every cutting task. 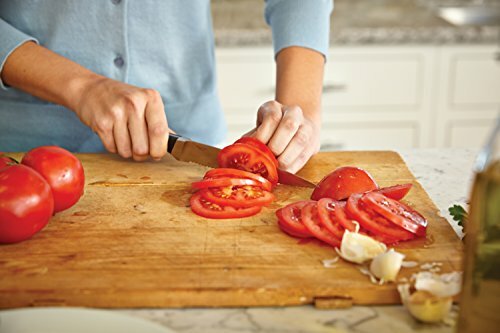 Knives are made from high-carbon, no-stain forged steel and feature full tang construction and a comfortably balanced, triple-riveted handle. 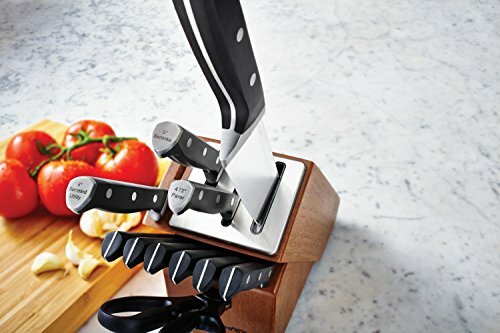 In addition, knife handles are labeled so you can always pull the correct knife out of the block. 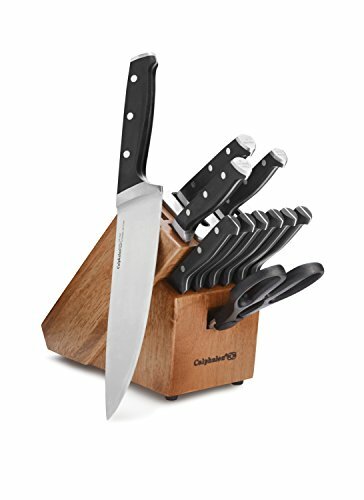 The Calphalon Classic Self-Sharpening 12-pc. 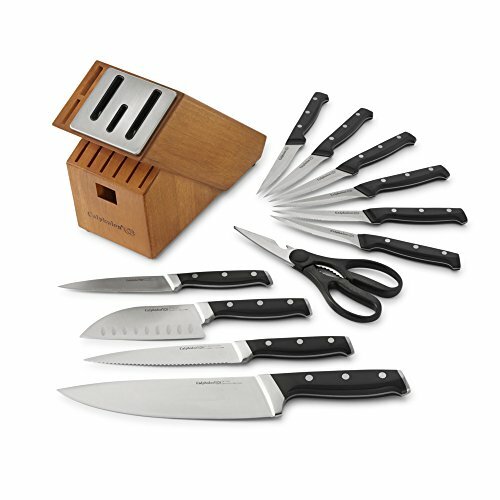 Cutlery Knife Set includes an expanded selection of essential chef knives for dicing, chopping and more, plus six steak knives for family meals and more.